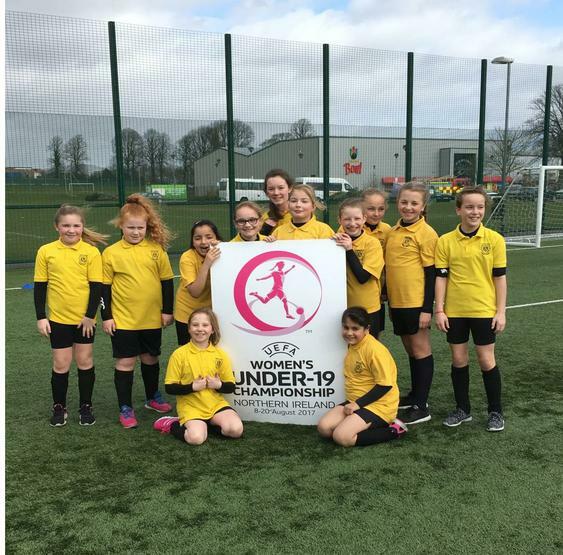 Today some of our P5, P6 and P7 girls had a very enjoyable morning at the UFEA Women’s Under 19 Championship Road Show. The Road Show involved skills, drills, small sided games and competitions. All participants received a free goodie bag which included a ticket to this years Under 19 Euro's @ Windsor Park. Thank you UEFA!